With this easy to adjust fixture the bent items can be cooled down at any set angle. 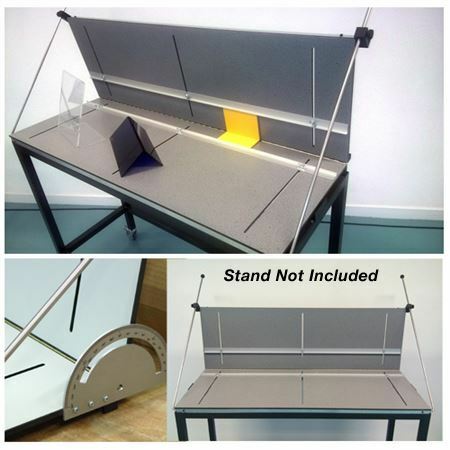 Our professional fixtures are provided with 2 adjustable parallel stops to hold the products into the right angle. Fixtures comes in 4', 7' and 10' sizes (see links to right for 7' and 10'). Both sides of the jig are open to slide the products out of the fixture when a complicated item is made. 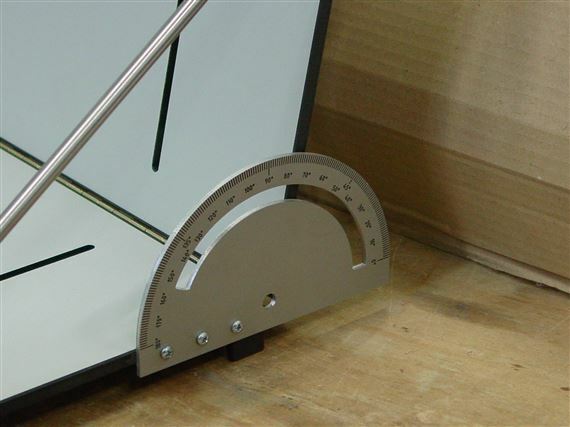 There is a protractor at either side of the fixture to easily set the jig at the desired angle. 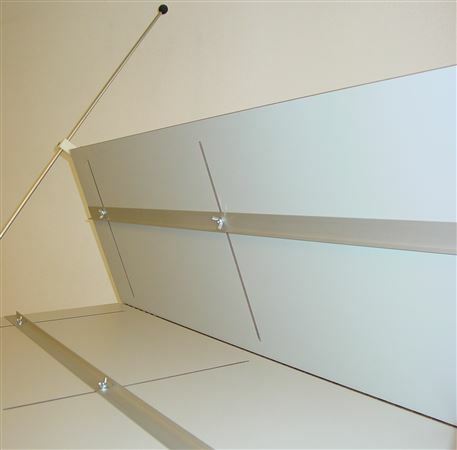 Made of durable, scratch resistant Trespa panels and steel frame. 4.1' x 26" split at 13" available bending length.